Today, we’re happy to announce the release of MongoBooster 1.5. 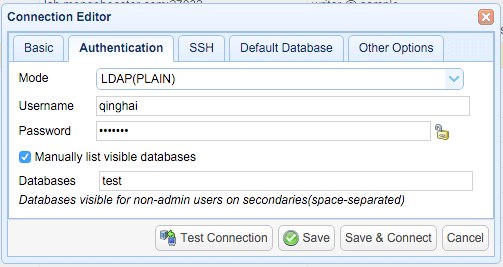 This release includes MongoDB Enterprise connection options(Kerberos & LDAP) and a few minor updates. 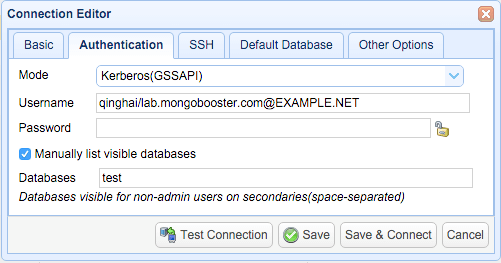 MongoBooster now officially fully supports MongoDB Enterprise Edition by adding two new authentication mechanisms Kerberos(GSSAPI) & LDAP(PLAIN), in addition to already supported regular username/password(SCRAM-SHA-1(added in MongoDB 3.0)/MONGODB-CR) & X.509.